LLP is an alternative business business vehicle to carry out business which combines the characteristics of a private company and conventional partnership. LLP provides limited liability status to its partners and offers the flexibility of internal arrangement through an agreement between the partners. 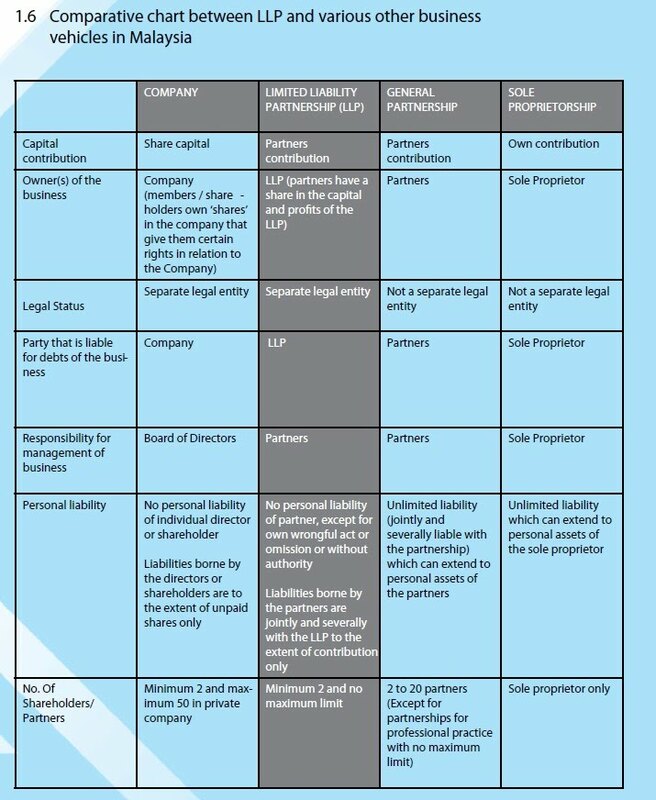 Why Limited Liability Partnership (LLP)? Year of Assessment based on your preferred Financial Year End, instead of 31st December for normal Partnership. Read more about LLP from SSM Website here. * SSM Fee, other disbursement to be charged separately.